New Dates are now live! This course has had a revamp. We have included new techniques and designed it to improve existing skills. 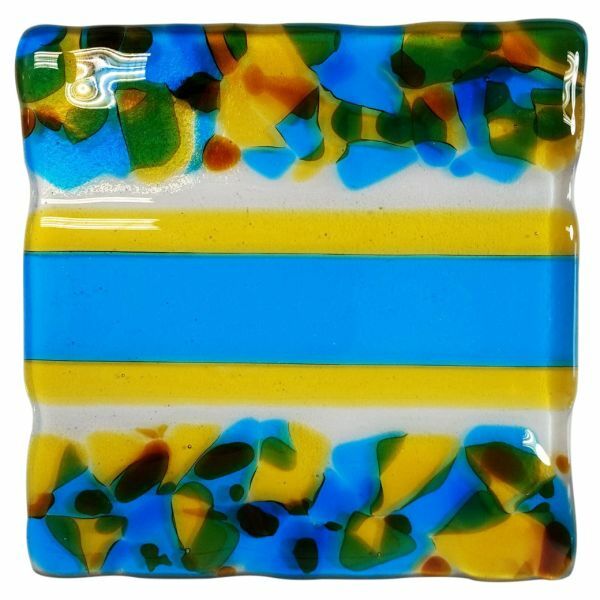 This is now the perfect next step following our Glass Fusing and Slumping Two Day Course. 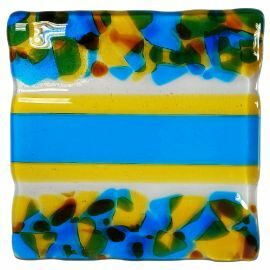 Develop your understanding of colour and layering and, learn how to harness the chemistry of fused glass. 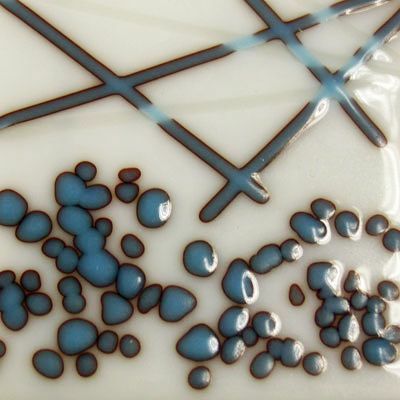 Explore the reactive potential of Spectrum's System 96 Glass. This is a LEVEL TWO course - some prior experience necessary. If you are unsure about whether this is the right course for you, one of our knowledgeable staff would be happy to advise you on 0117 958 8820. 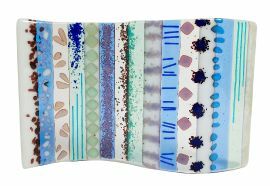 On day one students will develop their cutting skills before putting them into practice to make a multi layered colour project. 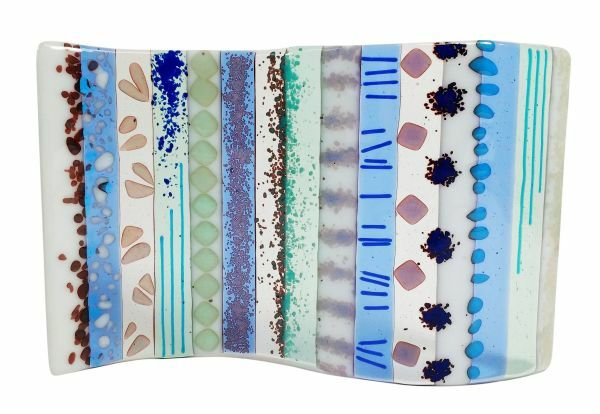 Learn how to control volume and shape through the use of kiln furniture. 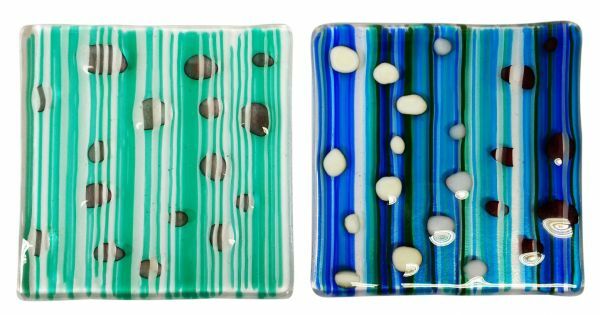 You will create a series of test tiles combining glass, frits, stringers and noodles exploring the reactive potential of the sulphur and copper bearing glasses. 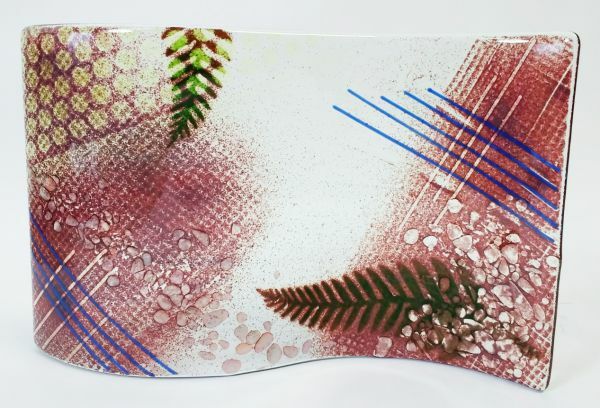 On day two you will review these experiments and use them to create your own free standing glass art panel. This will be slumped over an S Curve mould and posted out to use after slumping. You will gain accurate technical information to help you to be experimental. You will also have a handbook to take home. We teach small groups with a maximum of eight to ensure individual attention. On completion of the course you will receive a Guild Membership card which entitles you to 10% off your next course as well as other benefits. Nothing but yourself and a sturdy pair of shoes (no open toes!). All your glass, materials and use of tools are included. 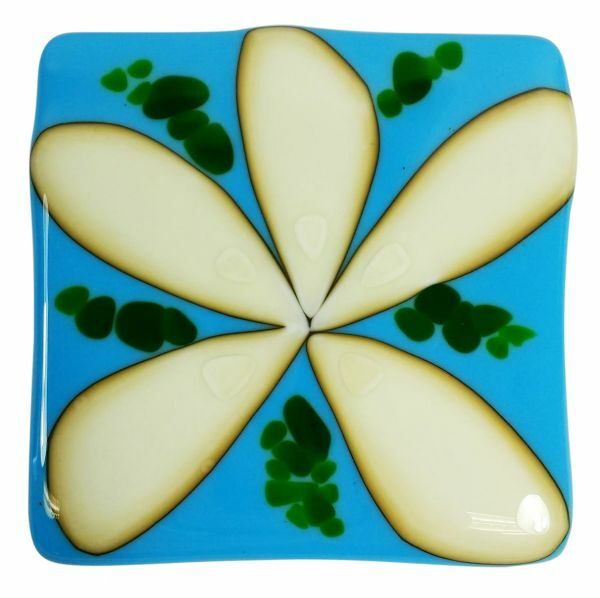 Why not buy a course as a unique gift? If you're unsure of a suitable date you can buy a voucher and let them choose their own! Vouchers are valid for 12 months from date of purchase and need to be used to book a specific date within that time. A booking is not confirmed until the voucher has been validated against a specific date. I learnt so much more about fusing, especially reactive frits and contour fusing. Thanks Simon for all your expertise, advice and patience! Just got back from the further fusing course. It was a fun and informative weekend thanks to the two tutors. I would highly recommend both this course and the first. Now I need to book another as this is such an addictive hobby.